An appeal to support CKLN 88.1FM FundFEST 2010 | Hot Jambalaya! Hello friends and fans of In My Room on CKLN 88.1FM! 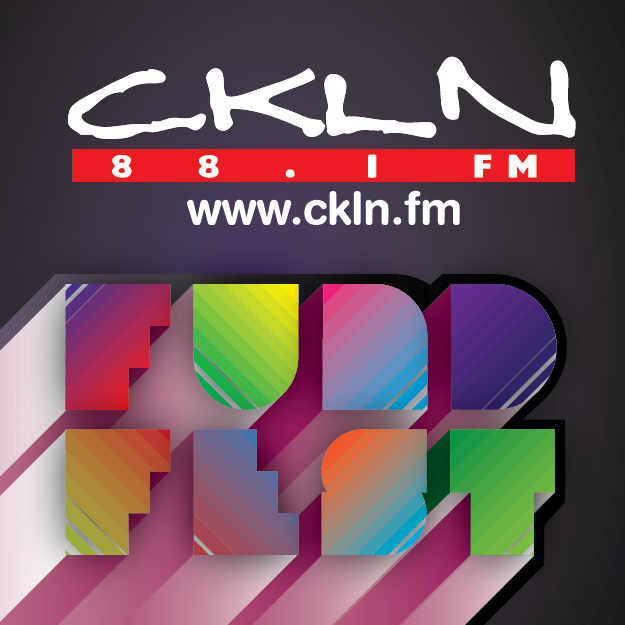 CKLN 88.1FM has launched its yearly fund raising drive: FundFEST 2010 from November 19 – 28th. CKLN is a listener-supported station that relies on donations for about 1/3 of its operating budget. This money is vital to make necessary improvements to the station and its equipment. This year CKLN hopes to raise a grand total of $88,100. Over the past 3 years, myself and members of Eclectic Groove have volunteered their time and energy to help promote the wealth of musical talent here in the Greater Toronto Area and have showcased the best in underground dance music for your listening pleasure. Our monthly show has covered a lot of musical styles and – if I do say so myself – has helped to break down the stultifying effect of genre constraints on dance music. Therefore we are asking you to help us keep independent community radio alive in Toronto. Most stations, or radio shows in general, don’t have – or allow – this kind of variety on the air. CKLN is a special case as we are relatively free from censorship, genre boundaries, and we are free from the tyranny of choosing our programming from the top 40 (hit) playlist that pervades both radio and satellite channels. Any amount is welcome and there are pledge incentives for amounts $25 and over. We are very pleased to announce a limited offer of 10 spaces from www.fastlife.ca to one of their highly successful SPEED DATING events! This is regularly a $49.95 value made available to our listeners for a donation of only $35! “Turn your life into a social adventure and enjoy being single like never before… FastLife.ca – Speed Dating and Singles events with style.” Act fast, because these are guaranteed to move quickly! *Please note this offer is available for singles living in the GTA. We are proud to offer a digital download pack from local dance music label Intellegenix for a donation of $25! In keeping with the eclectic theme of In My Room, our friends at Intellegenix have pulled a wide variety of tunes from their impressive roster of talent. Each download pack contains 13 high-quality 320kps mp3 tracks covering a range of dance music from dubstep, electro, breakbeat, techno, house, and booty. Hear the hottest new sounds from artists on Intellegenix such as Azid Dizko, Cryogenetic, Terror Tone, Philth Kids, Gooffee, Drumatix 6, Iron Horse and many more! While supplies last, get both the Speed Dating and Digi-download for just $45! For a donation of $25, receive a CKLN T-Shirt or Mix CD from your favourite show prize! For a donation of $40, receive a CKLN Hat prize! For a donation of $88, receive a CKLN Hoodie Sweater prize! For a donation of $100, receive your choice of 2 prizes! Anyone who donates $25 or more, and pays by Dec.15, 2010, is entered into the GRAND PRIZE DRAW to win the trip to Peru! Tune in Sunday Nov 28 1 am to 3 am EST, call 416 595 1478 to pledge or pledge online ANYTIME at http://ckln.fm/ click the donate button to pay by Paypal (don’t forget to mention IN MY ROOM in the description section). If you donate online, send us a message to tell us you’ve done so and we’ll get you your prizes ASAP!